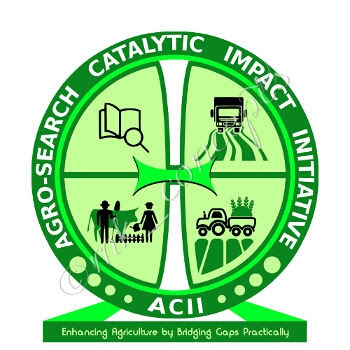 Home / Sponsored / Agro-search Catalytic Impact Initiative - "Bridging Gaps"
Agro-search Catalytic Impact Initiative - "Bridging Gaps"
On 17th October, 2018, An NGO, Agro-search Catalytic Impact Initiative (ACII) set to bridge the gap between agricultural research output and its supposed users (farmers) which is in consonance with second goal of SDG "Zero hunger" among other 17 collections of goal created by United Nation for Development Programme. ACII kick-started their advocacy at the Department of Crop Protection and Environmental Biology (CPEB), Faculty of Agriculture, University of Ibadan, Ibadan Nigeria which continued yesterday at a seminar organised by the CPEB Postgraduate Club with a theme " Environmental designs and Computer software application for biological researches". The ACII team, led by Mr. Giwa Muhydeen presented a topic on "disseminating information to farmers" where he highlighted the idea birth from his observations which are the obvious and blatant truths thata cademic and research institutes have the most creative, innovative and sustainable research outputs which end up at library archives, journals, conference proceedings and few to mention. Meanwhile, the idea of carrying out a research is to conduct a search on an already established framework, for further improvement. However, it is pathetic that most of these outputs do not perform their supposed roles and functions which are to genuinely advance agricultural value chains, ranging from pre-production, production, and post-production processes. He further talked about how they intend to achieve their goal as well as the framework which will guide them. Also, the expected outputs and outcomes were also discussed and this ignited the interest of some post graduate students as well as the lecturers. At the end of the presentation, volunteers have opt for inclusion while the lecturers commend and pledged their support for the initiative. The initiative shall continue with its advocacy as time unfolds.